Whether you are a current Fastenal customer looking to utilize our full offering, or a prospective customer who is just learning about all of the advantages of Fastenal, we invite you to explore our offering of industrial services. Since 1967, Fastenal has set out to provide our customers with more than just the products they need; we set out to provide our customers with a greater level of service designed to help your business maximize your earnings potential. Through our industry-leading 2,600+ locations and our innovative service model, which includes our FAST Solutions technology and a state-of-the-art distribution system, our company is designed to serve you faster and in a more cost-effective manner. "Growth Through Customer Service" is the motto our company is built upon. 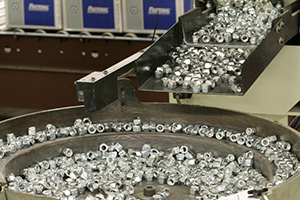 One-Stop Services: For the past 15 years, we have made available to our customers a portfolio of services specifically designed to further maximize cost savings opportunities with Fastenal. We know of no other competitor in our industry that offers these services under one umbrella, and in many cases our competitors do not offer these services at all. Global Industrial Strength: Combining our service offering with our capabilities as a full line industrial supplier gives our customers the unique opportunity to further consolidate their supply chain and eliminate the need for unnecessary suppliers that may only provide a single function to their business. Dedicated Team of Professionals: People make the difference in every aspect of a business, and the 90 employees within our Services team are experienced, with an average tenure of ten years. Each individual is factory trained, accredited through industry trainings, and upholds the highest quality levels. Continuing education is encouraged, and in many cases factory trainings are dated for a specific time period, at which point our employees attend the newest available training. Quality Assurance: Each of our centers is ISO 9001:2008 certified. Through our certification, we are required to uphold the highest level of technical excellence through strict quality control processes. These processes are documented for every service we perform and for each individual work order we process. Our centers are audited based on these standards at least twice per year. How do our services drive down your costs, manage your assets, control expenses, and drive earnings? Implementing Fastenal's Industrial Services will reduce freight costs, free up floor space, increase productivity, reduce POs, reduce inventory, lower carrying costs, consolidate vendors, reduce liabilities, reduce consumption, and reduce expenses. Our goal is to build you a program that fits your needs, creates value for your business, and increases your total earnings. 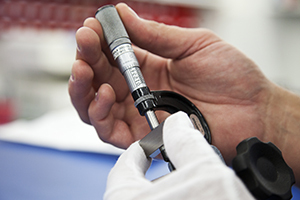 Fastenal's A2LA Accredited Calibration Lab manages over 23,000 measuring devices across the globe for our manufacturing centers, testing labs, and numerous store locations. Fastenal fully understands the importance of proper calibration and traceability, and has the experience necessary to meet these demands. 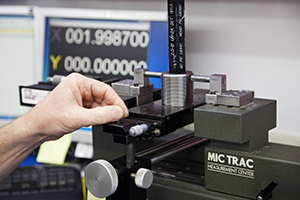 With over 65 years of combined calibration experience, maintenance, and management, they can ensure precision calibration on the above items. 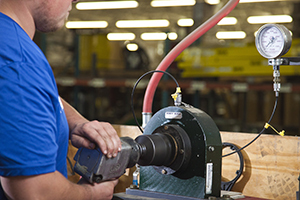 Fastenal Calibration Services has extensive experience facilitating calibration and repair programs. One of the most efficient ways for your business to manage calibration schedules is through the FAST Solutions® Locker system. This unique program gives you the visibility to track your device calibration needs from the moment a locker space is assigned. Your tools can be monitored and regulated by a set number of uses and/or by a duration of time between calibrations. You define the parameters; the system accommodates your unique needs. Fastenal can also work off of a tote system, placing easily identifiable containers within your facility in as many locations as necessary to ensure we are reducing travel time for your employees. 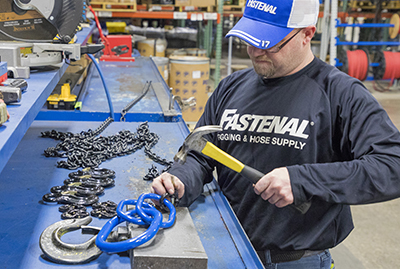 Fastenal offers chain sling inspections in compliance with OSHA regulations. OSHA Regulation 1910.184 mandates that all slings be inspected annually. We have the ability to perform this inspection at our Fastenal service centers, or in some cases at your location. 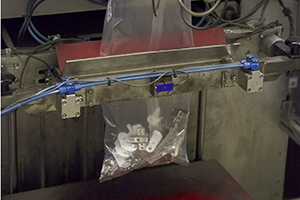 We can recertify chain slings according to OSHA requirements and your ISO procedures. 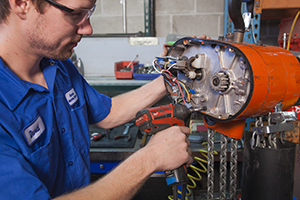 Our recertification team services are performed at your nearest Fastenal service center. Fastenal's custom packaging services are capable of packaging virtually any combination of parts you need for the job, from basic to complex kits, in high volumes or small run quantities. 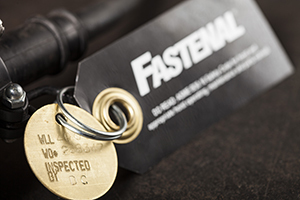 With multiple packaging locations across the country utilizing the latest packaging technology, Fastenal is capable of providing quick turnaround times with the highest level of accuracy. 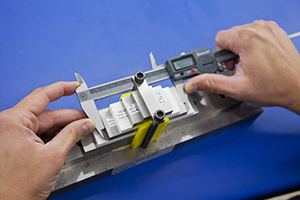 Each kit is weight verified to ensure accuracy. Fastenal's hoist repair centers have the capability of repairing a variety of hoist types, including electric, manual, and pneumatic, and a variety of styles, including chain, cable, and nylon straps. Our centers are authorized and approved warranty centers for most major brands of hoists. This presents a key advantage for your business by reducing the need to track, separate, and send tools, hoists, and equipment directly to manufacturers. 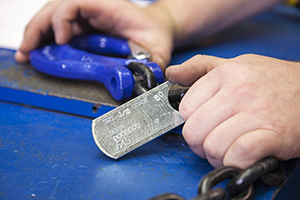 Fastenal handles the warranty process in its entirety, on behalf of your business. This system will greatly improve the amount of dollars saved on repairs that could have been covered under the manufacturer's warranty. Furthermore, Fastenal offers a 90-day warranty on all repairs completed by our repair centers. Fastenal's hoist repair technicians are some of the best in the country, routinely finishing at the top of the class in manufacturer repair trainings. Technicians are required to continue their education through factory and independent trainings. Fastenal has test stands in each of our hoist repair facilities capable of recertifying hoists up to 20 tons in capacity. The test stand applies the appropriate load to the hoist to ensure it will perform in your facility. Fastenal's hose fabrication division has a full offering of hose types, ends, lengths, and diameters to meet your individual needs. 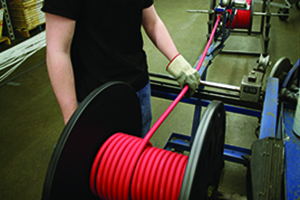 Fastenal also has the ability to kit hoses with other components needed for your project. 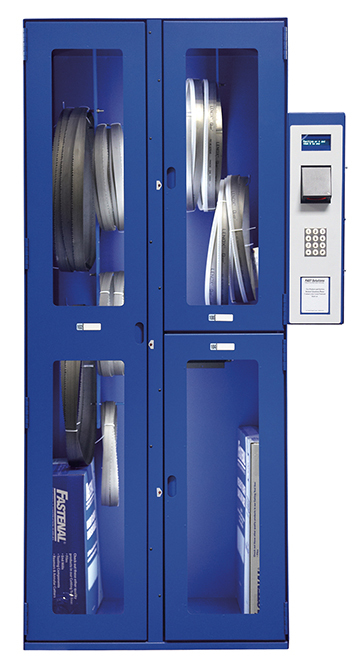 Hoses can be stocked on your assembly line or in a FAST Solutions® Locker unit to ensure you always have that critical hose when you need it. 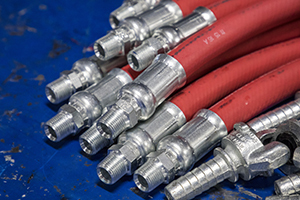 All hoses are crimped to the manufacturer's specifications and tested to ensure compliance. 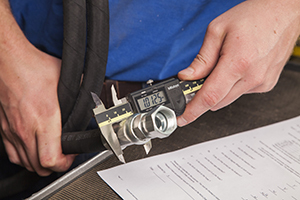 Our technicians take the proper amount of time to ensure each hose is manufactured to the appropriate standards and specifications. Fastenal's certified inspection team performs inspections and provides trainings set by the standards written in OSHA 1910.179 & 184, ASME B30.2-10-11-17-21 & 26 and CMMA Specification 70, 74 & 78. Our teams of inspectors and trainers are certified through the Crane Institute of America and have gone through a rigorous training schedule on the principles and proper use of lifting and rigging equipment. It is our goal to help you maintain a safe work environment for you and your employees. Research: Prior to the start of the inspection, Fastenal will work with you to fully understand the nature of your business and plan the inspection accordingly. Inspection: Our team of certified inspectors will record all pertinent data regarding the lifting and rigging unit they are inspecting. Both handwritten and electronic versions of the inspection data will be made available to you. Any units that do not pass the inspection will be tagged accordingly for easy identification for replacement or repair. Reporting: Clear, concise, and organized reporting is provided after the completion of the inspection. Fastenal also retains this information for up to ten years if at any time you need to request a copy. Compliance: Fastenal has the ability to repair or replace any items which are found to be out of compliance. Fastenal will ship on our distribution network any hoists or slings in need of repair to our service center and back to you. 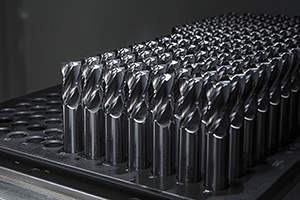 Looking to reduce cutting tool costs? 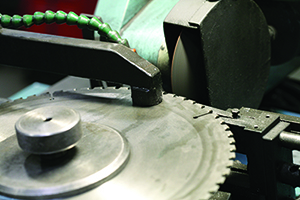 Fastenal's Tool and Cutter Grinding division specializes in sharpening and reconditioning worn cutting tools. 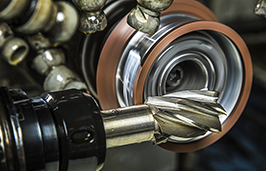 Utilizing the latest CNC and manual equipment from manufacturers like ANCA, UTMA, and Hybco, our experienced machinists can sharpen your cutting tools to like-new condition, for a fraction of the cost of buying new products. 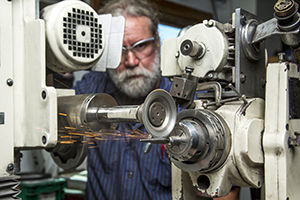 In addition to our re-sharpening and re-grinding services, we also manufacture specialized tooling, including step drills and made-to-print cutters. Our strength is our people. In an industry that requires significant time to train skilled machinists, we're proud of our minimal employee turnover — and we're pleased to put that experience to work for you. 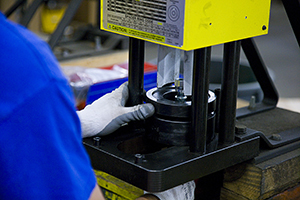 Our skilled machinists always put the customer's needs first while strictly adhering to stringent quality standards. 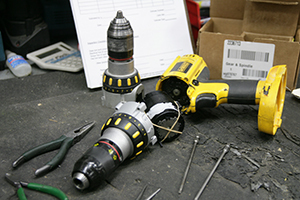 Our centers are authorized and approved warranty centers for most major brands of tools. This presents a key advantage for your business by reducing the need to track, separate, and send tools, hoists, and equipment direct to manufacturers. 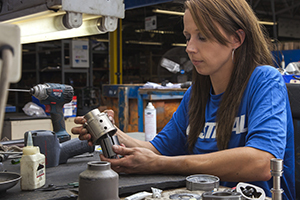 Fastenal handles the warranty process in its entirety on behalf of your business. This system will greatly improve the amount of dollars saved on repairs that could have been covered under the manufacturer's warranty. Furthermore, Fastenal offers a 90-day warranty on all repairs completed by our repair centers. Our 35 repair technicians are factory trained as well as certified through independent governing bodies. Technicians are required to continue their education through specific factory trainings, either to build upon their current knowledge or renew past certifications. 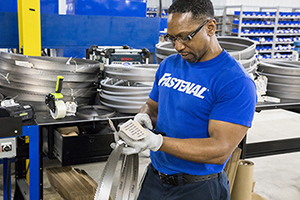 Fastenal's custom bandsaw blade division provides your operation with a unique opportunity to decrease the amount of inventory needed on your shelf, reduce downtime in your operations, and ensure you receive a high quality blade each and every time. With more than 20,000 different types, styles, and lengths to choose from, Fastenal has the right blade for your application. In the event that we do not have the exact blade specification you're looking for as a part of our stocking program, we have the available coil stock to weld and ship a blade within a 24 hour period. Whatever the material or configuration from aluminum and carbon steels to exotics, in a single piece, stacked or bundled, let our metalworking specialists help you identify the blade that will provide your business with the lowest price per cut on the market. We'll provide a FREE sample blade if you commit to testing it for comparison to your current blade. You test both blades to determine the difference in cost per cut (e.g. a $100 blade that cuts 1,000 pieces at $0.10 cost per cut versus a $125 blade that cuts 1,500 pieces at $0.08 cost per cut). If the sample blade does not reduce your cost per cut, we'll provide additional sample blades for testing until we find the most cost-effective solution. Your costs can only go down. You can further reduce costs by tracking and controlling your blades via our automated locker system.